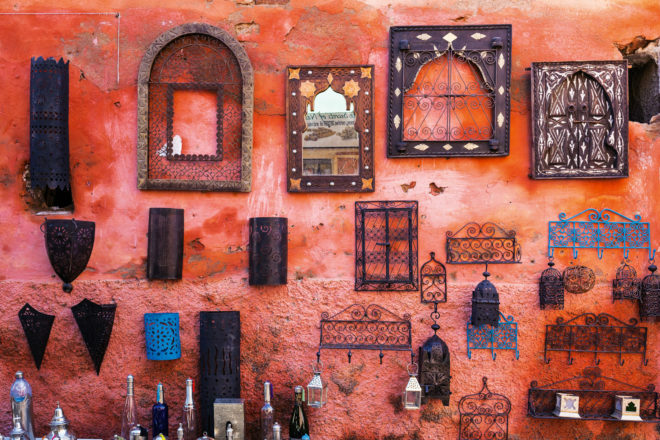 Insider’s guide to Marrakesh in Morocco, ranked #42 in our countdown of ‘100 Most Incredible Cities in the World’. There’s only one place to shop for clothes, Aya’s, in the Mellah next to the restaurant Tangia. Nawal is the most adorable stylist. If her shop doesn’t have your size, she will take your measurements and mail the impeccably tailored result to you. Linen kaftan, shirts, dresses, hand-made and hand-embroidered. A hidden gem. Also, don’t miss Marrakshi Life, a very nice shop created by an American artist, below the restaurant Terrasse des Epices in the Souk Cherifia. When shopping in the souks, there’s one place for lunch, drinks, snacks and also for dinner, Cafe Nomad. My hotel, Jnane Tamsna has beautiful gardens, a pool and a gallery.